In another world, Corin Tucker would be world-renowned. Instead in ours, she's sort-of-indie-world-legendary. Make no mistake, Sleater-Kinney were a force to be reckoned with: a band regularly discussed as seminal and shortlisted right behind Nirvana as defining the cultural moment that was the 90s (or at least, the suburban, white American 90s). Even within Sleater-Kinney, Corin Tucker doesn't get nearly the attention or deference paid bandmate Carrie Brownstein. Looking at Tucker's work outside of Sleater-Kinney helps triangulate her better. 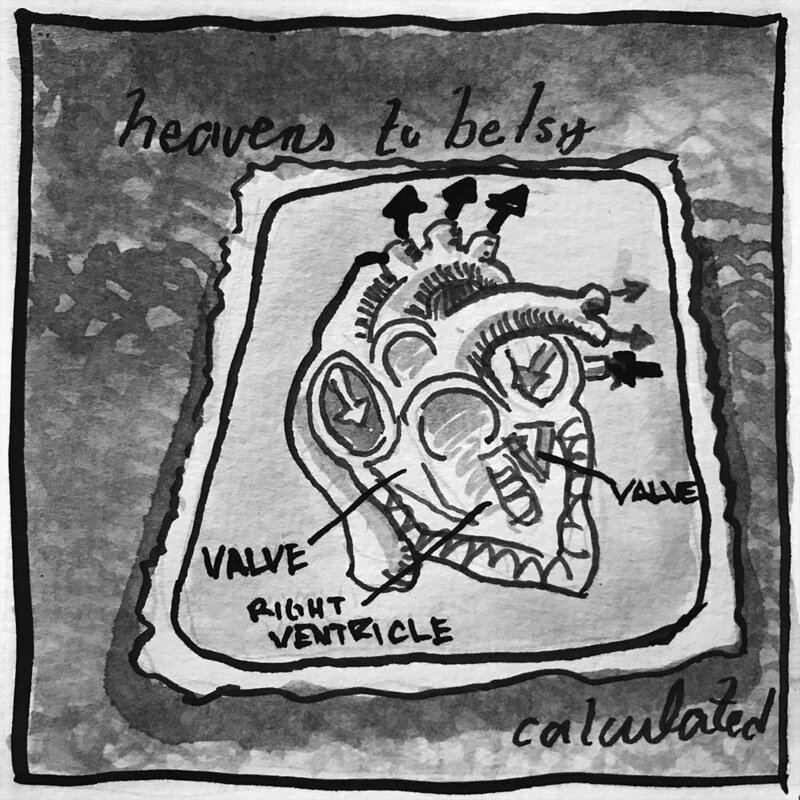 Heavens to Betsy, Tucker's short-lived, pre-Sleater-Kinney band was an opening savlo in the riot grrrl movement, in all its awkward glory. My love for Calculated is a heady mix of nostalgia and cultural artifact. The album plays like the working copy of a future masterwork, a demo for a revolution. It's easy to look past the rugged recording and nuance-free lyrics, to witness an artist of power. The intervening 20 years saw Tucker realize her potential in full. Sleater-Kinney seemed to grow progressively more incisive, becoming subtler in approaching their thorny subjects, all while writing ever catchier songs. I think Corin's legacy was in fact hurt by being the first out the gate with a post-Sleater-Kinney project. The Corin Tucker Band's first album, 1,000 Years, was unfairly panned. It was no misstep, just not what the collective fan-base wanted or expected. Perhaps those fans were more ready to move on a couple of years later when Tucker delivered Kill My Blues. Of course, Blues was also a substantive improvement. I would readily file it with the best of Sleater-Kinney's work, which is to say among the best rock music of the last 20 years. It's also an album very much of it's moment: charting the shift that many of her era's leaders made—from Sonic Youth to Superchunk—reconfiguring their brand of punk rock into anthemic classic rock. If ever there were a telltale rock radio hallmark, it is the supergroup, which is exactly what Filthy Friends were. 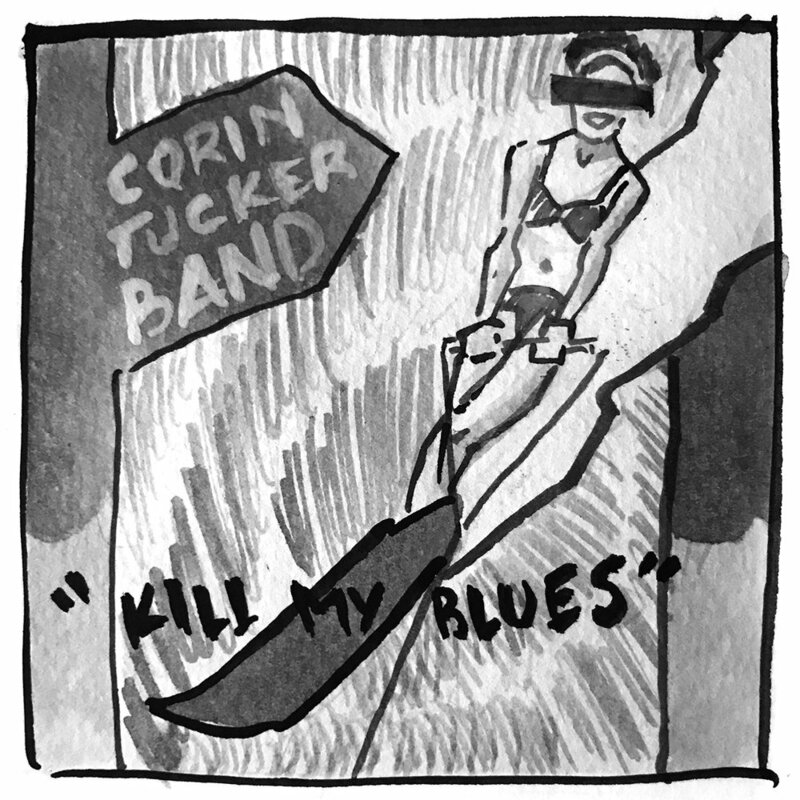 Taking a break from the Sleater-Kinney reunion and work with her own band, Corin Tucker joined forces with Peter Buck of REM (along with some lesser known—but well established—figures from bands like the Minus 5 and Young Fresh Fellows). Their record, Invitation, merges so many vintage styles, from Byrds-ian jangle to Ramones-esque chug, it easily insinuates itself into your conscious. Nothing about Invitation seems forced, though. This isn't Corin Tucker putting on classic rock airs, this is an established torch-bearer of a true rock-n-roll tradition, taking herrightful seat at the table.